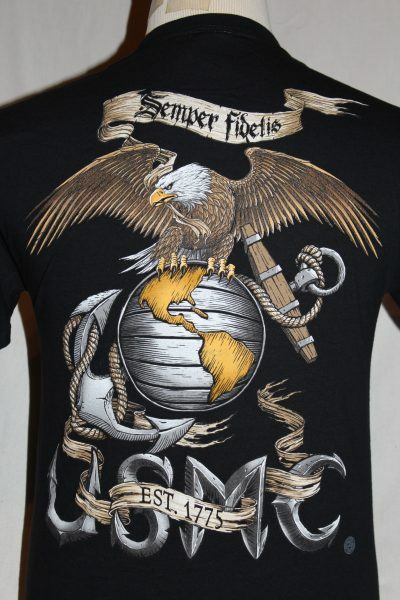 The Marine Corps Semper Fidelis Globe & Anchor T-Shirt is a two sided print in the color black. 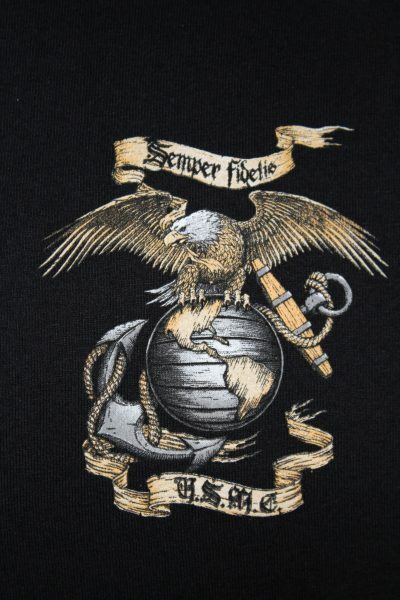 Front Design: Left chest print of Marine Corps Globe & Anchor and text. Back Design: Larger image of the front design. Fruit Of The Loom 100% heavyweight cotton, 6.1 oz., preshrunk t-shirt. 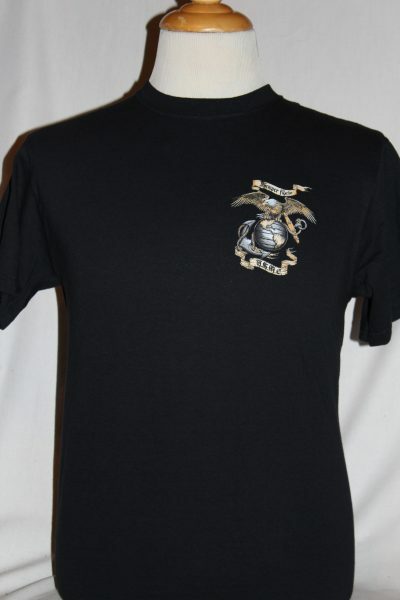 This shirt has double-needle stitching throughout; seamless rib at neck; shoulder-to-shoulder tape. 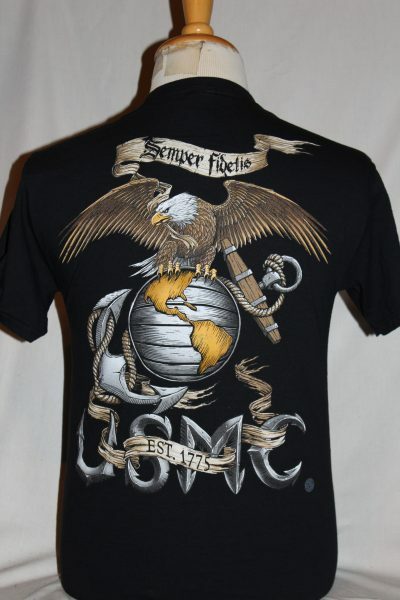 This shirt will wear well and retain its original color and decoration after multiple washings. Note, we use the best quality preshrunk shirts available!